As of today, technology has become indispensable to mankind. Technology and mankind are now interconnected as inseparable. Daily, the members using technology keep increasing. 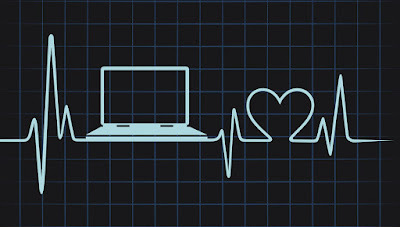 As a result, technology related health issues too keep increasing. Issues arise as a result of the continuous use of a computer for over four hours at a stretch. Lets take a look over some of those main health issues. Non-stop use of a computer can bring about pain in different muscles and bones of the human system. The main reason for this is the wrong posture taken with the use of the computer. Repetitive Stress Injury is the pain extending from the shoulder to the fingers of the hand. The affected areas can show swelling and hardness that brings out the pain. The difficulty to move the mouse of the computer is a result of this pain. The cause of the pain is incorrect posture of using the computer. Carpel Tunnel Syndrome is the feeling of a numbness and pain in the fingers. The pain arises due to the pressure exerted on the wrist. Incorrect use of the keyboard and the mouse or placing them in the incorrect positions are the reasons for this syndrome. Sticking to the computer continuously for 6 to 7 hours can cause irritation of the eyes and is identified as the Computer Vision Syndrome. Dry eyes, redness in the eyes, tearing, blurred vision, or pain in the head, neck or back are symptoms of the discomfort. Pressure on the muscles of the neck and tiredness around the eyes usually cause headaches to the users of the computer who stick to it for a long time. Increase of activities in the working environment due to the technological advancement cause stress, sleeplessness, tiredness, lack of appetite and etc. 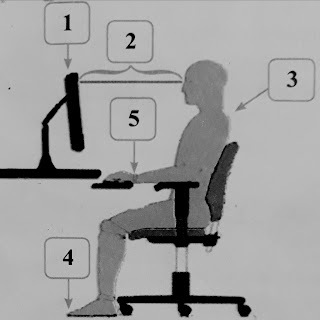 Correct posture in the use of a computer is essential. This is an essential feature of ergonomics. It can help to prevent many problems associated with health. 2. The distance between the computer screen and the eye to be 18 - 28 inches or 45 - 70 cm. Adjust light on the computer to make the eyes comfortable. Blink and take eyes off the screen on and off. Take a break in between work, walk short distances. Fix playtime sessions for children and direct them to other activities. People using computer at work for 7 to 8 hours need to refrain from using computers at home and maintain a relaxed mind. You don't need to worry about such health issues if you follow the above mentioned things and the followers of these procedures are unlikely to face computer related health issues. I'm on my computer for at least 10 hours a day. I definitely suffer from a few of these! Yes. You have raised professional hazard that need to be taken care of. Me and my husband spend more than 10 hours a day on computer. Often we find these difficuties which are stated here. You have given very useful tips. I will try to follow all. Thanks for sharing!